Range Of Speed: 50 to 165 kmph. Special base made of metal with springs, for wooden stumps. With the constant support of our expert team, we are engaged in offering a huge assortment of Keeping Gloves. We offer wicket keeping gloves which provide a complete protection to the player in the playground. 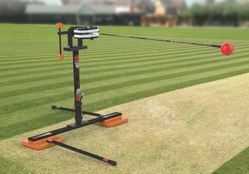 Come and discover the wide range of batting Pads offered by us. We offer high quality batting Pads at reasonable prices. These batting pads are extensively demanded for their designs, colors and durability. These pads are lightweight and ensure complete protection. They are designed to give comfort to the bats men. PVC leather front gives protection and can easily be wiped. Our Batting Leg Guards are professionally designed and manufactured using imported PU. The advance high density plastozote design of the guards in the front provides ample protection. They are designed in a manner that maximizes the comfortable movements of the leg guards on ankle during running. The wide Velcro strap ensures perfect wrap around fit, which enhances the comfort of wearing. Made of quality hardwood/polished finish. Each set packed in cloth carry bag. 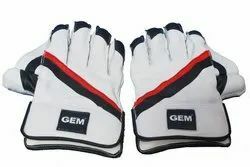 We are one of the leading manufactures and suppliers of a vast range of Practice Batting Gloves, which are manufactured from high grade raw materials. These are widely acclaimed for its premium quality and sturdy construction. Gloves offered by us are made in accordance to offer high comfort and high resistance against shock during the game. We offer these gloves in various sizes and colors.